After providing a colourful chapter in the history of horse racing, 80 years ago this year Cardiff's Ely Racecourse closed its gates forever. 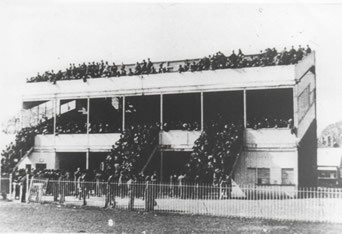 Horse Racing first came to Ely on May 30 1855, but the sport was not entirely new to the town for the Ely racecourse was in direct line of descent from the old racecourse at Heath Farm the other side of the town. In fact Ely Racecourse was to survive right up until the start of the Second World War. And it was to attract some of the best horses in the country. For instance, the dual Aintree Grand National winner The Colonel (1869/70) ran there as did Emblem (1863) and Emblematic (1894). Other Grand National winners to grace the Ely turf were Cloister, Father O'Flynn and the legendary Gold Miller. The famed Brown Jack, ridden by Welshman L.B.Rees, won the Cardiff Club Juvenile Hurdle over-a-mile-and-a-half there in 1927. 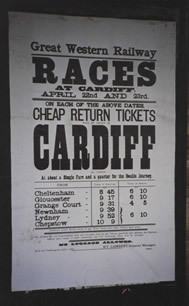 And more than 40,000 racegoers had flocked to Ely to see the Welsh Grand National in 1895. 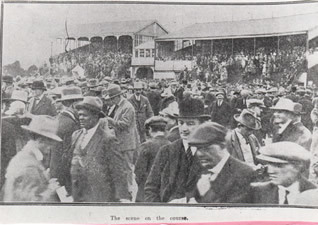 Infact, the crowd was so big they broke down the entrance to the shilling gate and the police had a hard time from preventing racegoers from obtaining free admission. It was at Ely that Fulke Walwyn, the Queen Mother's trainer, rode his first winner while other famous jockeys to ride there were the famed Anthony and Rees brothers from West Wales. Cowbridge's Fred Williams, father of Evan Williams who won the Aintree Grand National on Royal Mail in 1937, was the official starter at Ely Racecourse and two riders from the Vale who won the Welsh Grand National were David Thomas who won on Miss Balscadden in 1926 and George Bowden who won on the same mare in 1928. In my book The Welsh Grand National – from Deerstalker to Emperor's Choice (The History Press) I told how Llantwit Major's Posy Lewis's father Major E.C. Morel's Waving Star, ridden by Alec Marsh, came close to winning the last Welsh Grand National to be run at Ely Racecourse. It looked as though Waving Star's black, red and white colours, taken from the family shipping line, which were immensely popular with racegoers, would record a local victory as the mare went half-a-dozen or so lengths clear after jumping the last. But Jack Fawcus on Lacatoi conjured-up a late run to win by the shortest of short heads to win the race for a third time. And to this day no other horse has won the race three times. 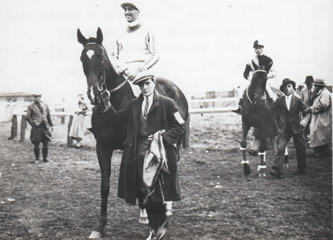 Horse racing sadly came to an end at Ely Racecourse on April 27 1939 after Grasshopper, partnered by Keith Piggott, father of the legendary Lester Piggott, won the last race the Club Juvenile Hurdle on Grasshopper.